Toadlick 2015, I had a blast! Toadlick 2015. I had a blast! 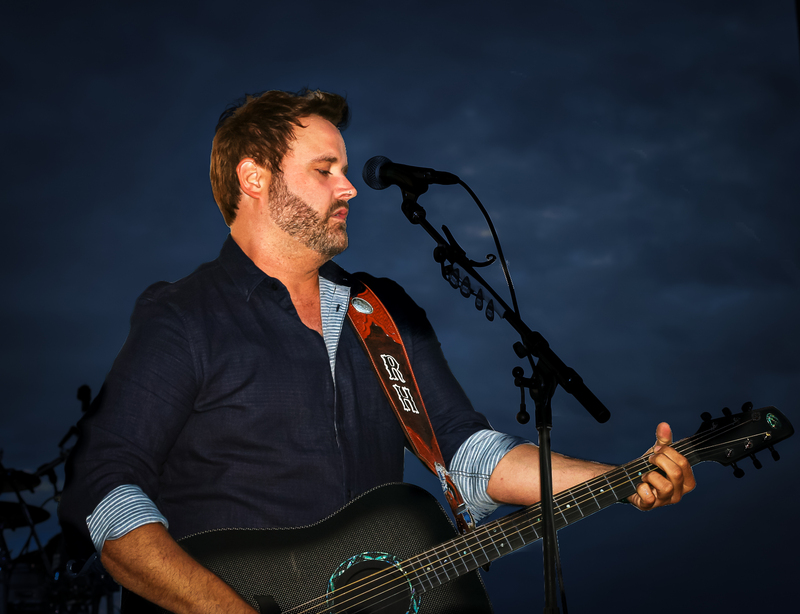 This is the fourth year a man by the name of Chris Gilbert has managed, with the help of some good friends and great sponsors, to put on an awesome three-day music festival called Toadlick in Dothan, Alabama. Last year I went with a general admission ticket, REO Speedwagon put on a show, proving they still had it and they were smiling the whole time, enjoying what they were doing. The Band Perry closed out the festival with an unforgettable high energy performance. This year I went with my friend Brandy Harrington, who has been every year since it started. This year’s sponsors included: Wind Creek Hospitality, Interstate Batteries of Dothan, Durden Outdoors, Budweiser, Cherry & Irwin, and the Dothan area convention and visitors Bureau. The festival took place at the National Peanut festival fairgrounds April 23rd through the 25th. Thursday, The Brooke Danielle Band (pictured above) kicked off the festival. They are a teenage group ranging in age from 15 to 19 and all I can say is: We are going to hear more from them. They are GOOD. They were followed by another notable act, the Natalie Reynolds Band. 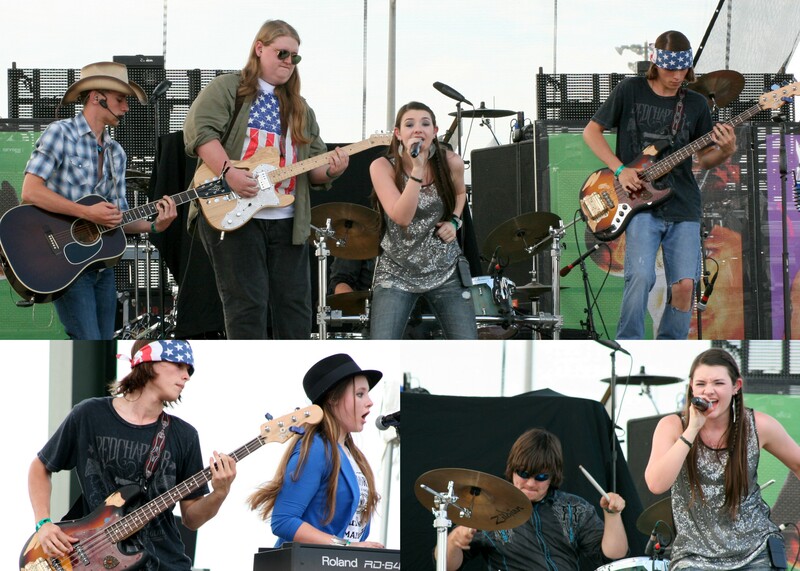 Both acts were winners of a Battle of the Bands event, the prize, getting to play at Toadlick. Craig Wayne Boyd (“The Voice” winner) gave us an Achy breaky heart. Bret Michaels made sure we had nothing but a good time. Lee Brice did A woman like you, and I drive your truck. Of course, these artists did more songs than I mentioned. Friday, Eli filled us with nostalgia from their covers of eighties rock songs. They also did some of their songs. The one that sticks out in my mind – Sacred Ground. The Vagabonds, JJ Grey and Mofro, and Donica Knight also took their turns on the stage. 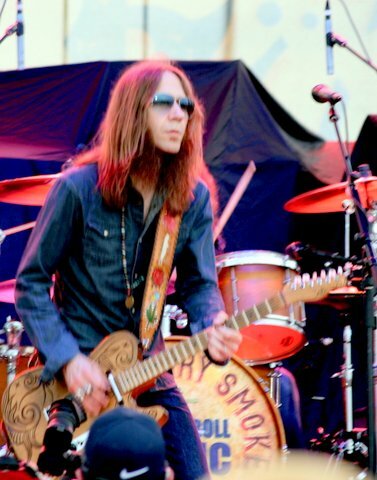 Blackberry Smoke geared us up for what was yet to come that night. 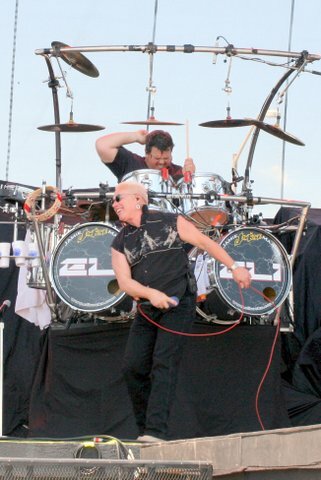 Styx was a blast from the past! They are as spectacular now as they were back in the day. They are aging gracefully. Their stage presence and energy were amazing! 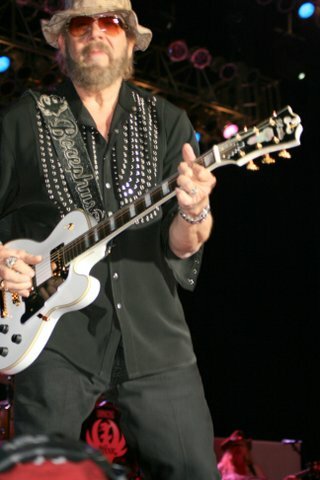 Then came the pièce de résistance, Hank Williams Jr.! 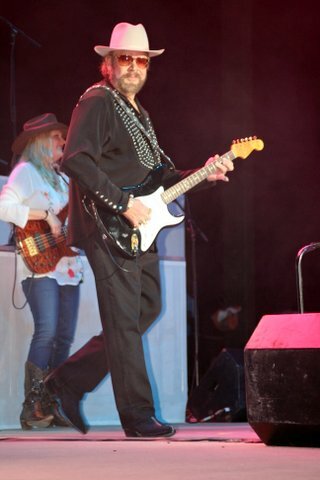 Let me just say: Bocephus can sure tear a guitar slam up! He played many of his songs. 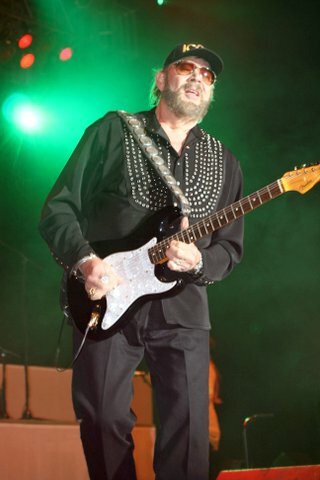 Seeing Hank Jr. was as good as I ever imagined it would be. 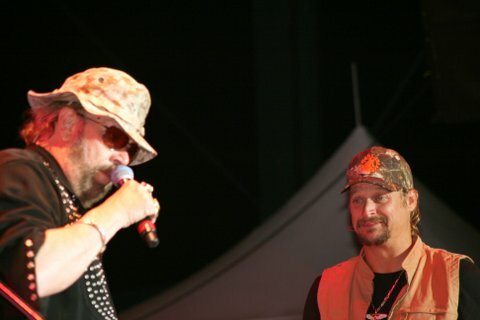 Ever since I heard Hank Jr. was doing Toadlick I said it was a good chance Kid Rock would be there. When it was announced he was scheduled to play on my birthday, I knew it was a sign that I was finally going to get to see Kid Rock. It just had to be! Brandy and I had made it to the rail in front of the stage while they were setting up for Styx and we stayed there for Styx and Hank Jr. Hank began jamming a song on guitar that we all know well and out came Kid Rock singing Sweet Home Alabama and that lead right off into All summer long. Then, I saw horsehairs flying from the bow when Hank broke out the fiddle doing Kalijah. Hank did more songs for a while and Kid Rock returned for Family Tradition. Saturday started out with dreary weather and the first couple of acts got canceled. Craig Campbell performed, and we were all herded up to the cattle barn because of a severe storm headed that way. After the all clear announcement came from the tornado warning, we stepped outside there were downed vender’s tents everywhere. We got back down to the stage. Chris Gilbert’s face was one disappointed ball of sadness from this blow mother nature had given his festival. We all waited anxiously fearing the worse, no more music. He called everyone up closer to the stage, explaining what was going on. The sound equipment was ruined. Ronnie Milsap left. Sam Hunt wasn’t going to play. They managed to patch through a smaller p.a. system, but Alabama wasn’t going to play without sound system or lights. Randy Houser came out alone with a guitar and did an acoustic session. 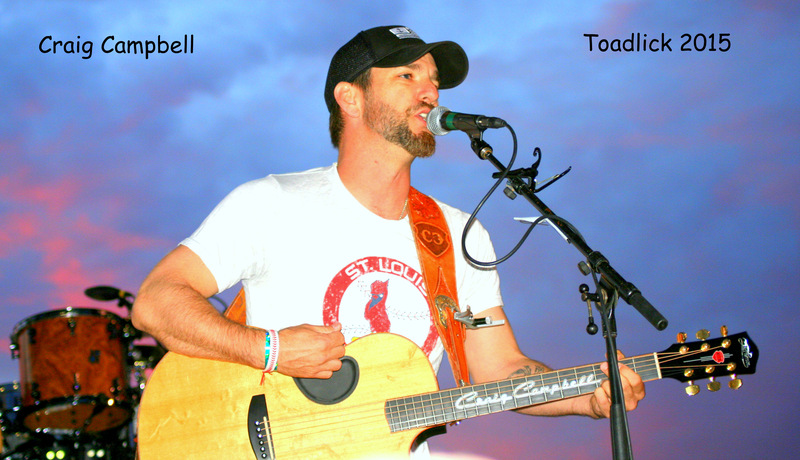 Even though he had already performed, Craig Campbell came back on stage and did the same. We loved it! We love them for giving us what we wanted, a good time. We didn’t care about amps and lights. Just like every other night of the festival, the party moved up to the Beer Tent or where it had been and there was more entertainment on the small stage there. We had a blast all weekend even with Saturday’s problems. I still have my T.I.P. wristband on and hoping it lasts until next years festival June 2,2016. If it does. Chris Gilbert will you come cut it off at the gate?